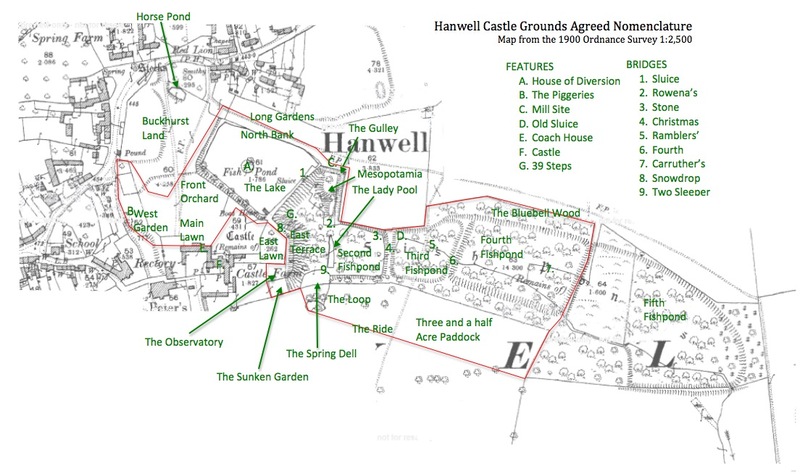 No programme of landscape archaeology can work without using maps in a variety of ways. Some of them are historic and give insights into earlier use of the landscape, others are simply practical aids to getting around whilst perhaps the most important ones record the unfolding series of discoveries as the work in the garden gradually uncovers its secrets! One of the difficulties in working on such a large complex site is keeping track of where you are. 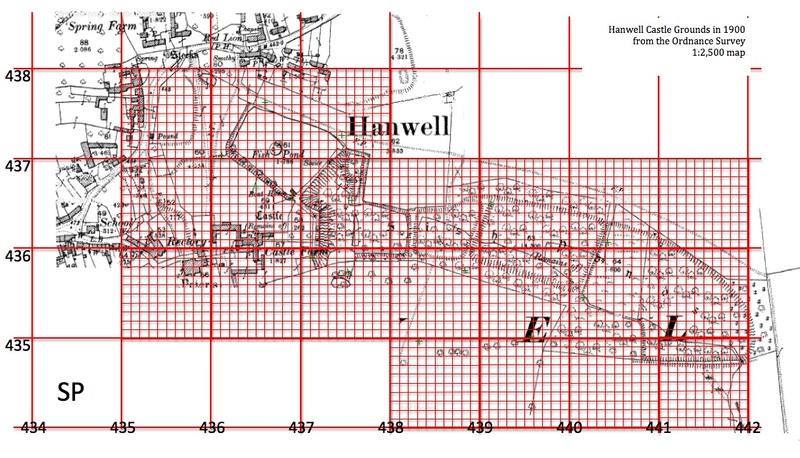 Here is an early attempt to relate features from an early OS map to the current National Grid. 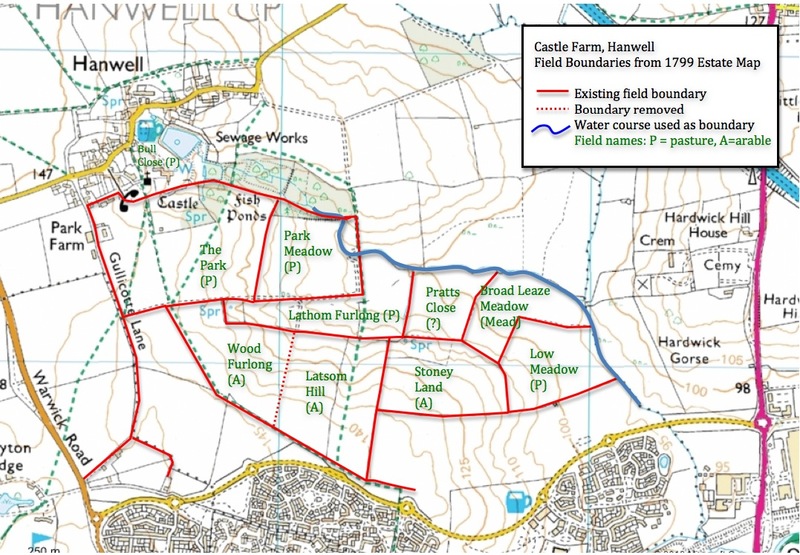 Each small square represents an area 10 metres by 10 metres whilst the larger squares are 10,000 square metres or one hectare, a hectare is just under two and half acres. 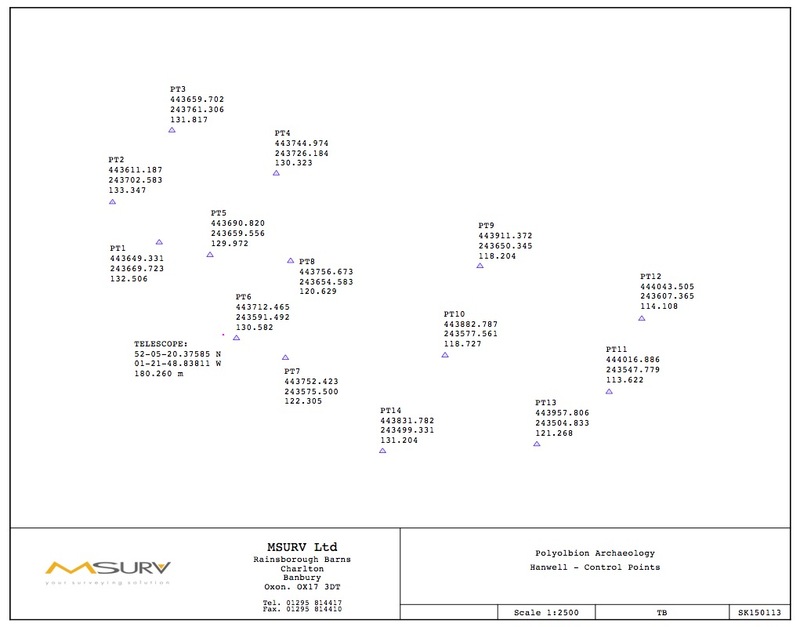 Initially we will be using this grid to describe the location of our stone samples. Of course if you want to have a conversation about a particular location, "Where are you going to be working this afternoon? ", using grid references is a little cumbersome so we have agreed with Christopher and Rowena on what to call the different parts of the garden. The nomenclature is largely based on custom and practice as codified in an estate map drawn up by a friend of theirs, Sarah Ormrod (see below). 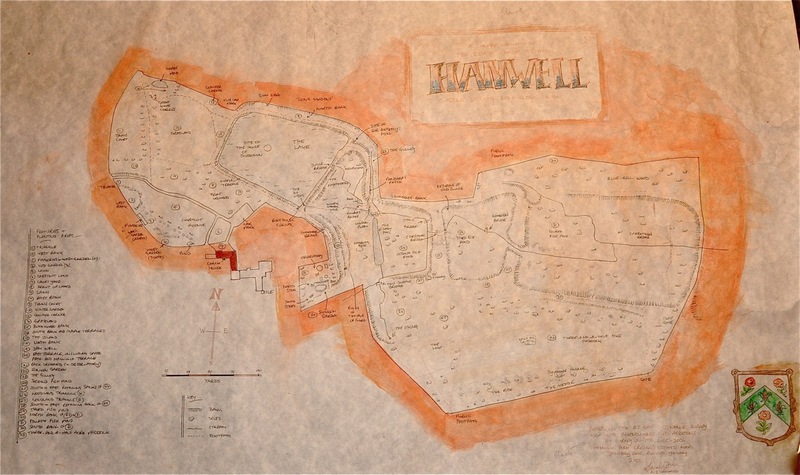 A copy of Sarah's map of the gardens dated 2006, many thanks to her for permission to reproduce this map. 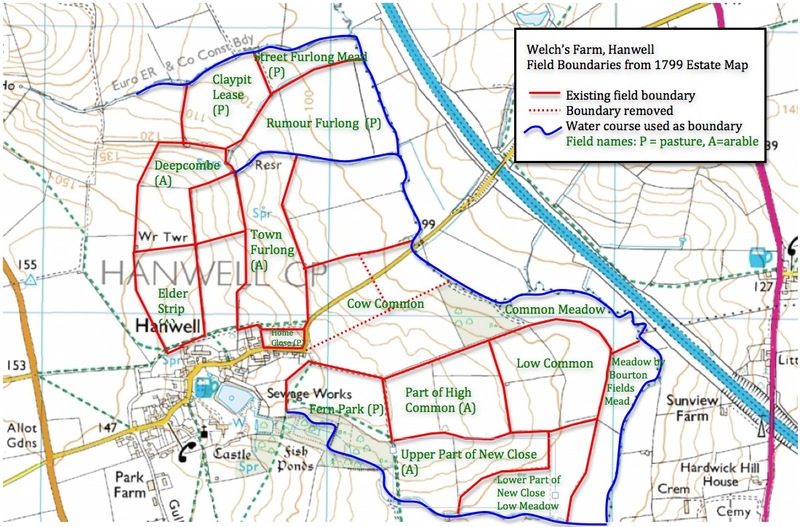 The next two maps take details from a pair of farm surveys by one Will Leonard, undertaken in 1799 as part of the 'Valuation of the Estates, Property of the Countess of Dorset' in the Oxfordshire Record Office and superimpose field boundaries and names on the current OS map. Not a bad match.